Well in some cases, it seems pretty obvious they’re for new games. For example, a new Yo-Kai Watch game or two seems extremely likely. Same deal with Inazuma Eleven, which is due a new game around about now. It’s the other three that are interesting. For starters, what’s Otome Hero? Because that doesn’t correspond to an existing franchise or game. So that’s likely a new IP they’ll reveal at one point. Megaton Musashi is interesting. Apparently, it’s the name of a Japanese warship from World War II. So perhaps Level-5 are making a strategy game for once? Maybe one like Fire Emblem or Advance Wars? Either way, they look like possible new IPs. And that brings us to Lady Layton. What is it? Well, probably something to do with the Professor Layton series. But how could it work? 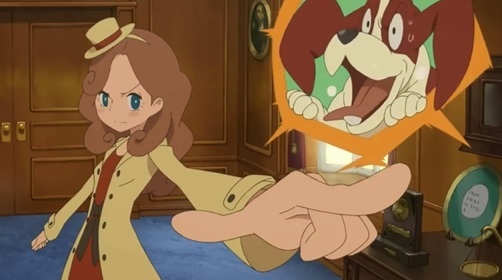 Because there’s not really a ‘Lady Layton’ esque character in the series. Flora is his adopted daughter, but she’s never called Layton in game. The professor doesn’t have a wife or (surviving) love interest. Who’s Lady Layton meant to be? Either way, all should be revealed on July 27th, in their ‘Vision’ conference. But what do you think these trademarks are for? Something might come from this, might not. Sometimes trademark is done to protect a name. Lady Layton; The Millionaire King’s Plot Announced!